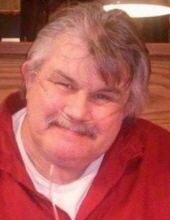 Donald L. DeWitt, 59, of Davenport passed away April 1, 2018 at his home. A graveside service will be 1pm Saturday at Indian Creek Cemetery in Columbus Junction, IA. Quad Cities Cremation Center is assisting the family with arrangements. Donald was born Jan. 31, 1959 in Fairbanks, AK the son of Jerry and Betty Johnson DeWitt. He married Dotty S. Buster July 25, 2015 in Otho, Iowa. Donald worked as a truck driver for Olsten Engineering. He enjoyed fishing, movies, going to church and spending time with family. Survivors include his mother Betty Estabrook; wife Dotty Suzanne DeWitt; daughter Victoria Grace DeWitt; sons Nickolas Ryan and Jeremy James (Trist Garvis) DeWitt; grandchildren Jason Smith, Riley DeWitt, Chloe Garvis, Camel Lenard and Jackson Lenard; sisters Wanda (Doug) Schader, Sandy Quinn, Vicky (John) Mills, Julie (Dave) Schultz, Dennis (Debbie) Estabrook and Dean Estabrook; step sisters Diane Hall and Darla Gonzales. Donald was preceded in death by his father Jerry. To plant a tree in memory of Donald DeWitt, please visit our Tribute Store. "Email Address" would like to share the life celebration of Donald DeWitt. Click on the "link" to go to share a favorite memory or leave a condolence message for the family.